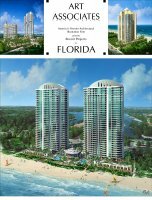 Art Associates is America's foremost architectural presentation firm. 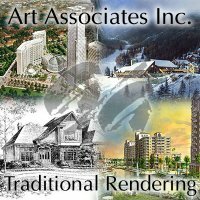 Our studio has completed over 43,000 traditional architectural renderings throughout the world over the course of 47 years in business. 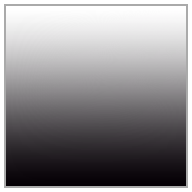 We are the ultimate source for architectural visualization. 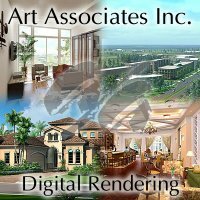 Our capabilities include: watercolor renderings, opaque renderings, pen and ink renderings, digital renderings, 3D animations, CG, CGI, Photoshop work, web design, advertising art, product illustration, design, rendering, scale models, photographic reproductions, mounting and framing. Specific samples are available upon request. 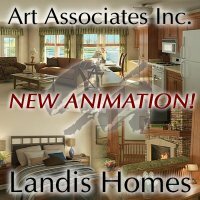 We can realize any size project quickly, rendered in a style to meet your budget and match any marketing campaign. Have no drawings and need quick renderings while under a time crunch? Our design and illustration staff can assemble a generic project of any scope and fit it seamlessly into your photo or one of our copyrighted hand painted sites. 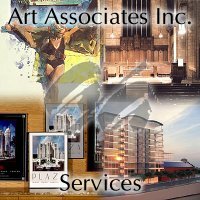 For the most dynamic visualization solution, choose Art Associates.